The member of the Class of 2019 selected to be our February Senior Mustang of the Month is Cameron Bartmann. Cameron is a graduate of Summit Hill Junior High and is a member of St. Stephen Deacon and Martyr Church in Tinley Park. Cameron has been a member of the St. Rita Varsity Basketball Team for all four years and is also a member of the National Honor Society. He hopes to also try out for Varsity Volleyball. When not at St. Rita he has a part-time job as a busboy. 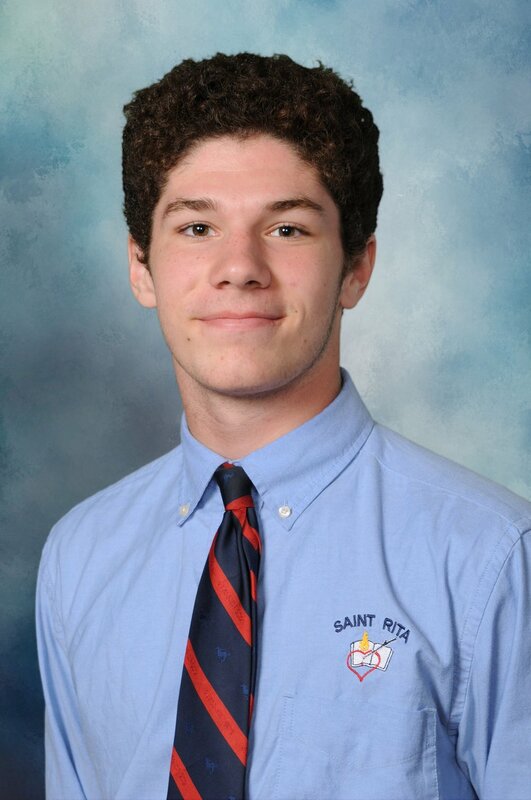 He has had a very successful academic career at St. Rita being on the Gold and High Honor Roll for all semesters and achieving a Heeney Award for Straight As during four semesters. Representing the Class of 2020 as our February Junior Mustang of the Month is Jimmy Larkin. Jimmy is a graduate of Queen of Martyrs School where he is also a member of the parish community. 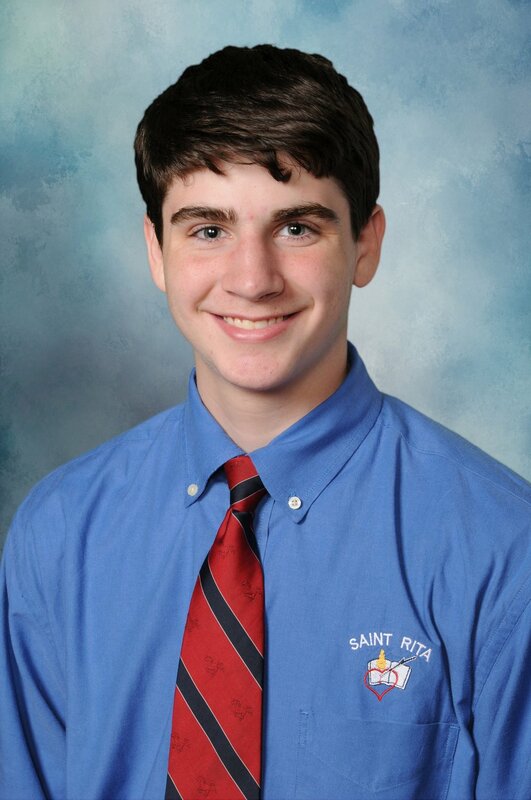 Jimmy is a member of St. Rita’s Hockey Team and is also involved with the Stock Club, Social Justice Club. 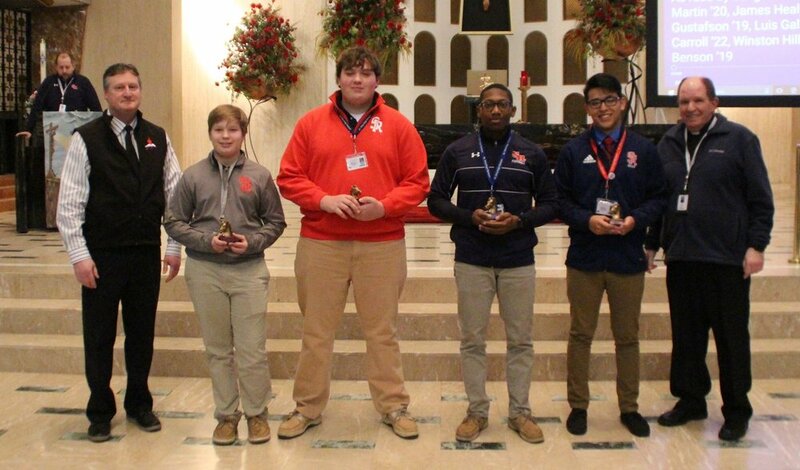 He is currently working toward induction into the St. Rita Chapter of the National Honor Society and has been a Heeney Award Recipients for earning Straight As. Outside of St. Rita Jimmy is active with Queen of Martyrs Youth Ministry. Representing the Class of 2021 as our February Sophomore Mustang of the Month is Michael Gaughan. Michael graduated from Century Junior High and is a member of St. Francis of Assisi Parish. 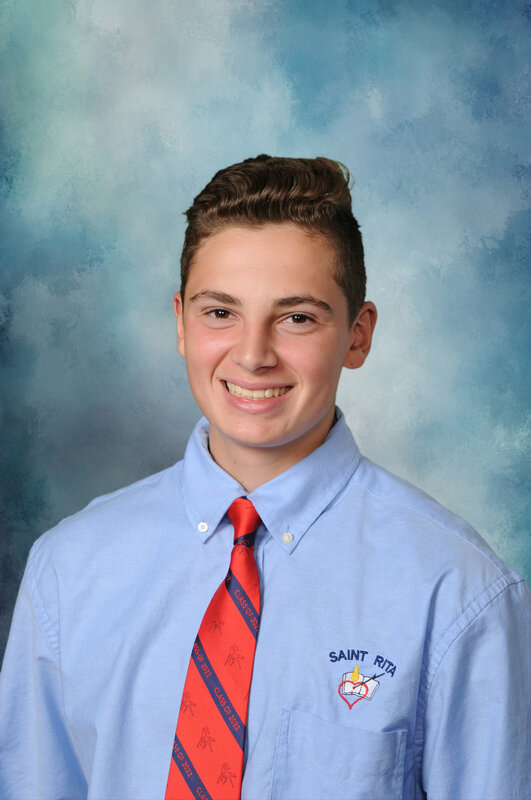 Michael is a member of St. Rita’s Football and Lacrosse Teams and is involved with the SpikeBall Club. He is also an elected Student Government Officer for the sophomore class and in the future hopes to get involved with the STEM Club. The member of the Class of 2022 chosen to be our February Freshman Mustang of the Month is Michael Baniewicz. 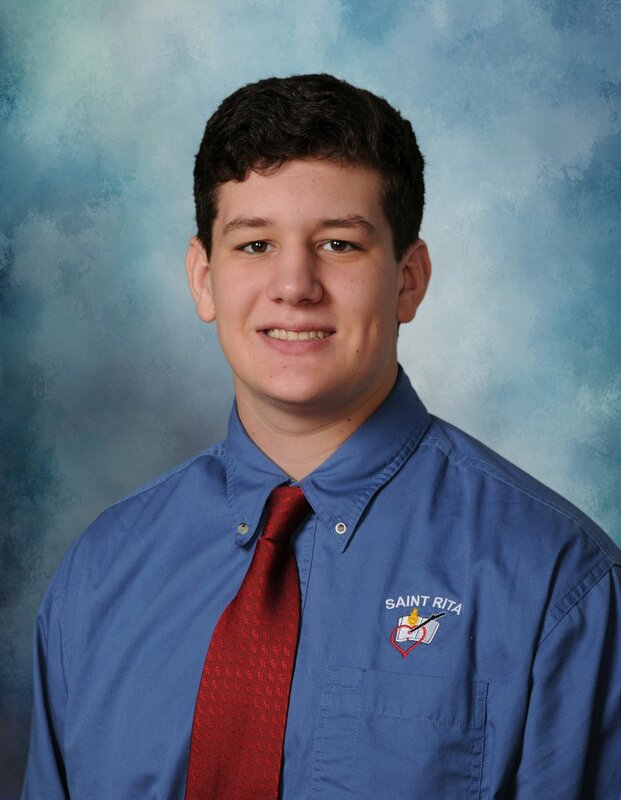 Michael comes to us from St. Christina School and is also a member of the St. Christina Parish community. Michael is a member of the RitaMen Weep Improv group, ran Cross Country and is now a part of Track & Field. He also assists with school liturgies as an altar server. Outside of his time at St. Rita Michael is also involved with the McAuley Theater as a cast member in “Wendy & Peter Pan” and performs improv at Second City. He hopes to get more involves at St. Rita with our theater productions. The member of the Class of 2019 selected to be our January Senior Mustang of the Month is Clifford Williams. Clifford is a graduate of Clifford Pierce Middle School and is a member of New Smyrna Church of God and Christ. Clifford has been active during his time at St. Rita playing football and bowling and also being involved with the Cooking Club. This past year he put together a Caritas Project “Bowling for a Cause” which raised money for homeless individuals. Clifford plans to attend college and major in physical therapy and loves being around family and friends having a good time. Representing the Class of 2020 as our January Junior Mustang of the Month is Carlos Sanchez. Carlos is a graduate of St. Gall School and belongs to St. Rita of Cascia Parish. Carlos is a member of the St. Rita Soccer Team and he is also involved with the Spanish Club. Outside of St. Rita he is active with the St. Rita Parish Youth Group and just recently traveled to Panama for the Augustinian Youth Encounter. He also helps coach soccer at St. Gall. He is working to be inducted into St. Rita’s chapter of the National Honor Society. Representing the Class of 2021 as our January Sophomore Mustang of the Month is Danny Fleck. Danny graduated from Central Middle School and is a member of Most Holy Redeemer Parish. 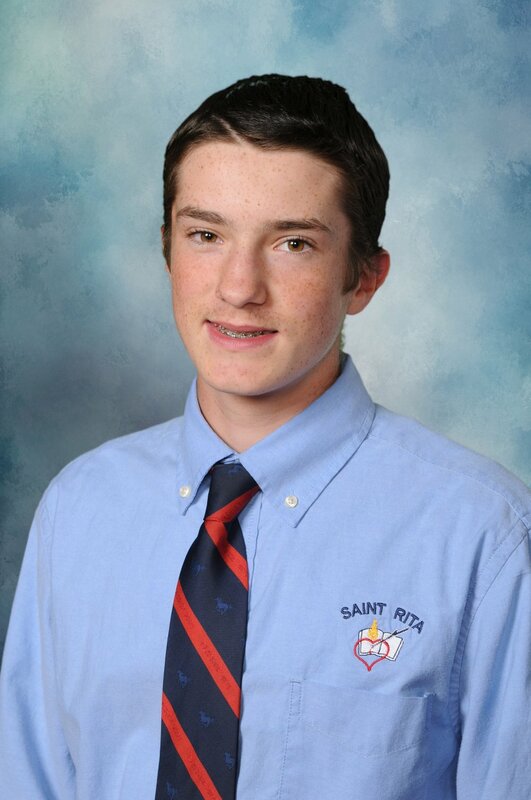 Danny is a member of St. Rita’s golf and volleyball teams and is also involved with The Cascian, our school yearbook. Outside of his time at St. Rita Danny helps out those who live in his neighborhood. He hopes to apply to be a Big Brother at the end of this year. The member of the Class of 2022 chosen to be our January Freshman Mustang of the Month is Jake Marszewski. Jake comes to us from Mount Greenwood Elementary School and is a member of the St. Christina Parish community. Jake is a member of St. Rita’s golf and hockey teams and he is also involved with The Natir, our satirical newspaper. Outside of his time at St. Rita Jake helps out in his community. In the future he hopes to get involved with St. Rita’s Stock Club and also plans to try out for baseball. He enjoys learning and art. 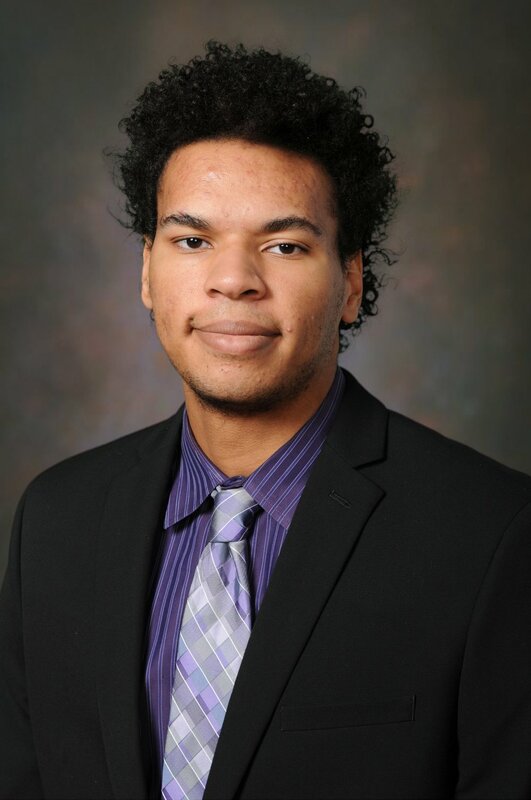 The member of the Class of 2019 selected to be our December Senior Mustang of the Month is Kavari Cunningham. Kavari is a graduate of St. Etherlreda School and is a member of New Faith Missionary Baptist Church. Kavari is a Big Brother and is a member St. Rita’s Football and Track Teams. Outside of his school involvement he helps out with his former football team the Brainerd Park Bengals. Representing the Class of 2020 as our December Junior Mustang of the Month is Ahmonte Harris. Monte is a graduate of St. Sabina School and belongs to the El Shaddai Miracle Temple Community. Monte is a member of the St. Rita Band a baritone sax player, Video Games Club, RitaMen Weep Improv group and is a Big Brother. He hopes to get even more involved in clubs later this year. Representing the Class of 2021 as our December Sophomore Mustang of the Month is Thomas Gleason. Thomas graduated from Central Middle School and is a member of St. John Fisher Parish. Thomas is a member of the St. Rita Golf Team, a writer for The Natir and is in the Superhero Club. He also plays in the Illinois Junior Golf Association. The member of the Class of 2022 chosen to be our December Freshman Mustang of the Month is Luis Salgado. Luis comes to us from Cardinal Joseph Bernardin School and is a member of the St. Julie Billiart Parish community. Luis is a member of the Respect Life Club, Spanish Club and played soccer this fall. In the spring he plans to be a part of the St. Rita Volleyball Team. Outside of his time at St. Rita Luis is an altar server and plays travel soccer. The member of the Class of 2019 selected to be our November Senior Mustang of the Month is Mick Doyle. Mick is a graduate of Arbor Park Middle School and is a member of St. Damien Parish. Mick just completed his football career at St. Rita with a Prep Bowl victory and is a member of the Track & Field Team. He is also a Big Brother, Eucharistic Minister and participates in the Advice Beyond the Classroom program. Aside from his involvement at St. Rita Mick also helps coach kids in his former football program, the Oak Forest Raiders. Later this year Mick hopes to be a Kairos leader, win state in track and play football in college. Mick plans on studying sports management in college and his dream is to be the General Manager for the Pittsburgh Steelers one day, claiming they would win the Super Bowl every year under his leadership. He also hopes to eventually start his own foundation to help middle class families who struggle with paying bills and raising children. Representing the Class of 2020 as our November Junior Mustang of the Month is Tony Nichols. Tony is a graduate of St. John Fisher School where he is also a member of the parish community. Tony is very active at St. Rita. He is in the Latin Club, French Club, Spanish Club, Respect Life Club, Band, Scholastic Bowl and is a Big Brother. Tony also is active in his faith and participates in our school liturgies as a Eucharistic Minister. Currently Tony is working toward full induction into St. Rita’s chapter of the National Honor Society. Representing the Class of 2021 as our November Sophomore Mustang of the Month is Kameren Havard. 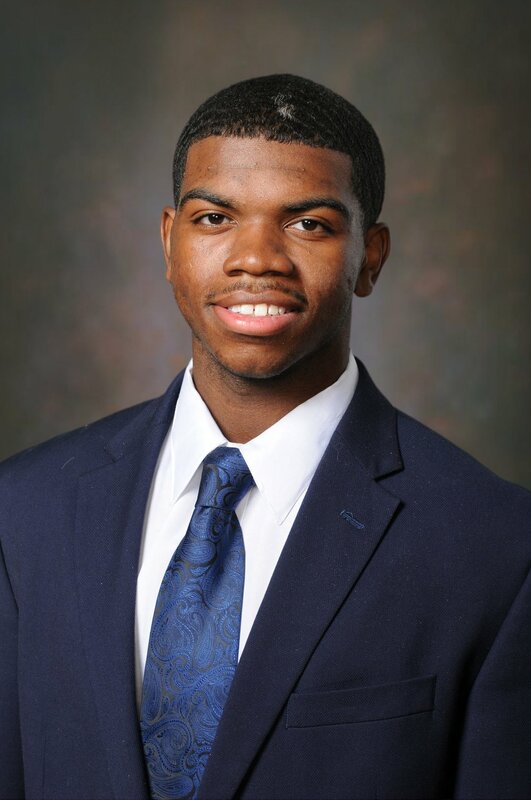 Kameren graduated from St. Paul in Oak Lawn and is a member of the Apostolic Church of God. Kameren is a member of the Bowling Team, Chess Team and the St. Rita Band. When he is not busy at St. Rita he volunteers his time at the Museum of Science and Industry. In the future he hopes to be able to study chemical engineering and work with computer science. The member of the Class of 2022 chosen to be our November Freshman Mustang of the Month is Isaac Gaytan-Reilly. Isaac comes to us from Summit Hill Junior High and is a member of the Parkview Church community. 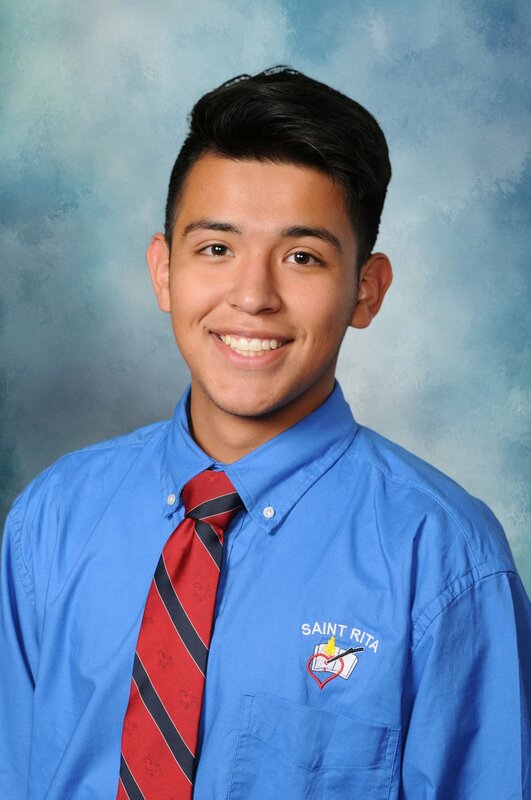 Isaac is the 16th member of his family to attend St. Rita and currently serves a Student Government Officer for the Freshman Class. Isaac just completed his first season of football at St. Rita and he has begun his wrestling season. Outside of his time at St. Rita Isaac also takes part in rugby.